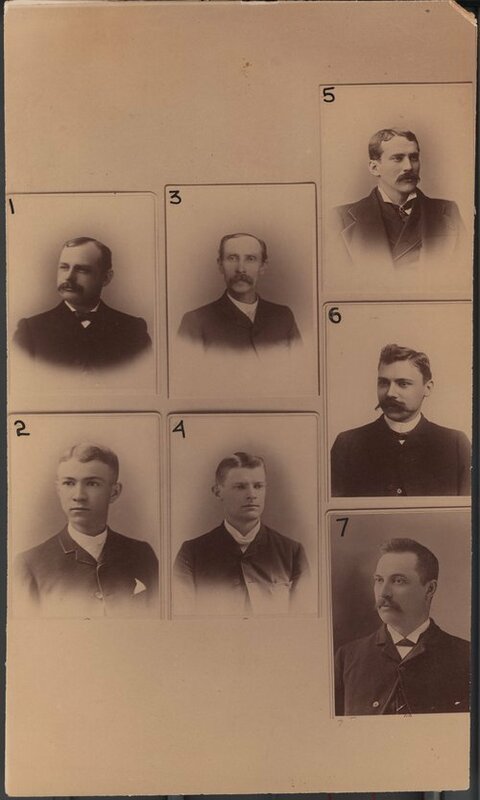 A panel of photographs showing seven members of the Topeka Capital newspaper's staff. They are identified as 1, Julius Regnier; 2, Harry Wingart; 3, H.A. Cone; 4, R.L.Thomas; 5, Philip C. Chandler; 6, Dell Keizer; and 7, James L. King.